Geospatial analytics combines GIS technology with scientific methods and processes to transform data into visual, actionable information. E3’s LTRM office works with USAID missions and offices, host country governments, communities and other partners to use geospatial analytics in the design, implementation, monitoring and evaluation of land and resource governance projects and challenges around the world. This equips policy makers and communities with the information needed to make decisions that protect investments and maximize impact. 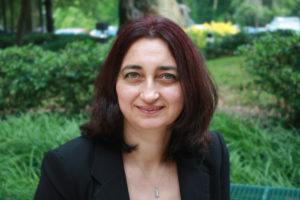 Ioana Bouvier is the lead for E3/Land’s “fit-for-purpose” land technology applications and manages the Land Potential Knowledge System, an inter-agency agreement with USDA. She focuses on building capacity for geospatial analysis and sustainable technology solutions that advance land and resources governance, support resilient cities and foster integrated development planning. She also uses geospatial analysis to generate and apply evidence for programs that improve land transparency, identify key rural-urban links, promote responsible land investments and safeguard vulnerable populations, and support land and resources governance for climate change, biodiversity and natural resources initiatives. Learn More / Contact Ioana Bouvier. 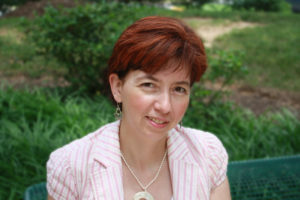 Silvia Petrova serves as E3/Land’s Geospatial Analyst and provides geospatial analytics and technology solutions assistance to missions, across land and urban portfolio and cross-sectoral programs. She focuses on generating new evidence through the use of innovative geospatial and technology approaches to support land and resource governance, sustainable urban services, and cross-sectoral programming for climate change, biodiversity and food security initiatives. Learn More / Contact Silvia Petrova.